It seems to me that some actors become the characters they play for the duration of a film, and sometimes those same actors find themselves in a role that’s so close to their own personality that they and the character seem one and the same. Ryan Reynolds and Deadpool definitely have the same sense of humor (but hopefully never the same motivation, disfigurement, et al). He’s proved over and over again on social media how genuinely funny he can be, and he’s back with some expert level trolling – this time on his wife’s racy post that featured a naked man offering her a martini. Blake Lively’s image was intended to promote her new movie, A Simple Favor, and in and of itself, is a total winner. Enter her husband, who just had to step in and one-up her. 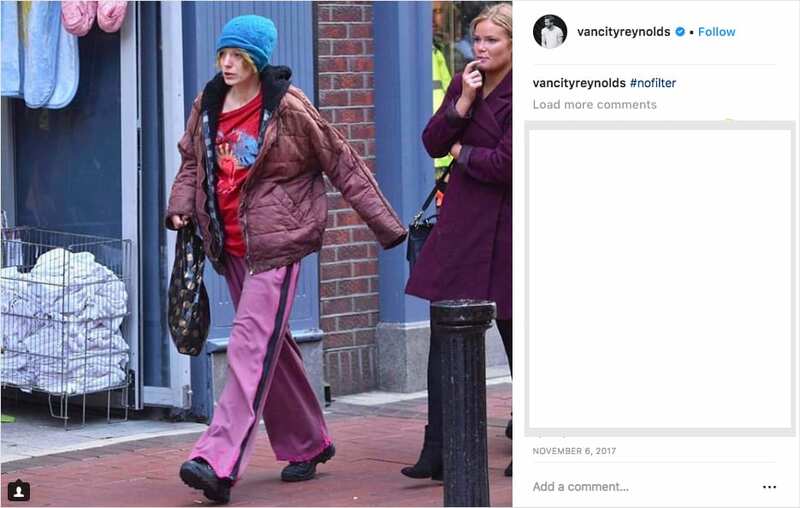 It’s almost as funny as the comment he left on this image of her, also from a movie set. I’m sure there are many, many perks to being married to Ryan Reynolds, and that his humor is only one of them. And don’t worry, y’all – she’s proven that she can more than hold her own!